In my studio, students 5 years and older can begin this training. Different ages of students require varying degrees of parent participation. Please read about the Suzuki method and the levels of parent participation below to decide the best age to start your child in violin lessons. What is Suzuki Violin Training? Suzuki violin lessons are a specialized training effective for teaching violin to students as young as three and four years old. 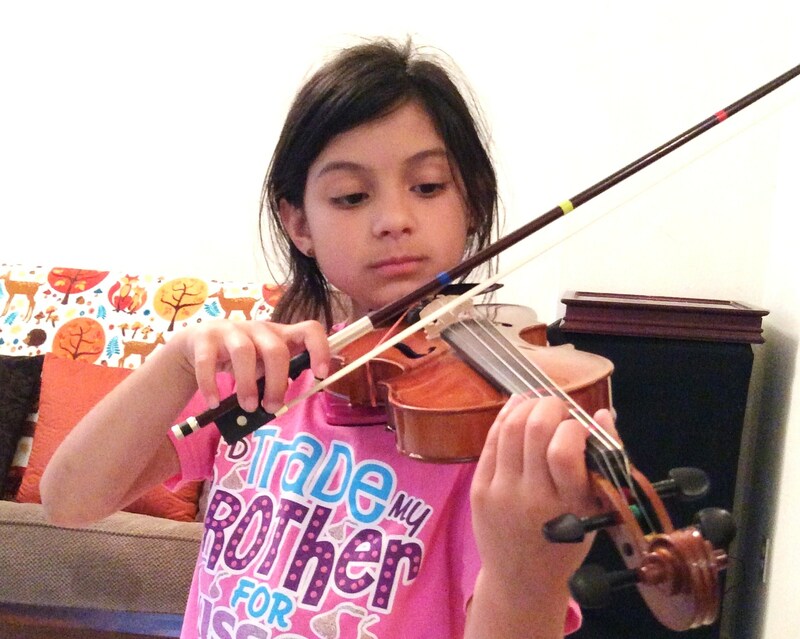 Students memorize and accumulate a curriculum that leads into professional violin literature. The method is named after the man who developed this form of violin training --Shinichi Suzuki (1898--1998). He believed that every human being can be talent trained. Practicing an instrument and experiencing music provides us an opportunity to develop not only the skill and art of music, but also gives us a unique opportunity to develop responsibility , noble character, emotional capacity, and sensibility. In Suzuki’s philosophy there is no room for doubting human development, but instead teachers and parents are to celebrate and recognize every achievement, similar to the encouragement and attention that young children receive as they are learning to speak and to walk. The child’s development is valued as a primary goal. Appreciate and respect every step of that development. If you are interested to learn more about Shinichi Suzuki and his dedication to developing young people, you may wish to read his book: Nurtured by Love. Some things remain constant, no matter the age of the student beginning the violin studies. These activities listed below are helpful, if not necessary, for violin students to feel a rewarding sense of momentum in their ability to perform the violin and to participate in group classes. Learning how to play the instrument is initially more important than learning how to read music. Music for listening is assigned in addition to practice assignments. Participate in monthly group classes. Perform for the community at group classes and in semester recitals. Parents are important- providing practice support, appreciation, and encouragement as students are working to learn the violin and sharing their efforts publicly through the group classes and recitals. Memorize and accumulate a body of literature. The curriculum is put forth in the Suzuki Violin School books 1--10. The degree to which parents are a necessary part of their child’s practice depends on the student’s age. The younger the student, the more involved the parent will be. Students age 5. 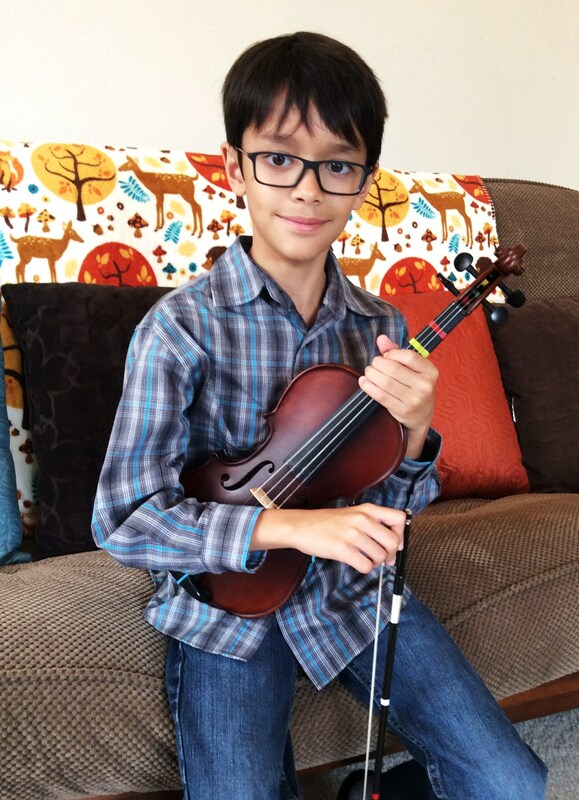 When starting a child at the age of 5, violin study is not just for the child, but for the parent as well. Starting the student at a young age provides an opportunity to spend quality time-- building memories between parent and child. The parent is their child’s practice partner and attends all lessons to learn which skills to help their child learn each week. 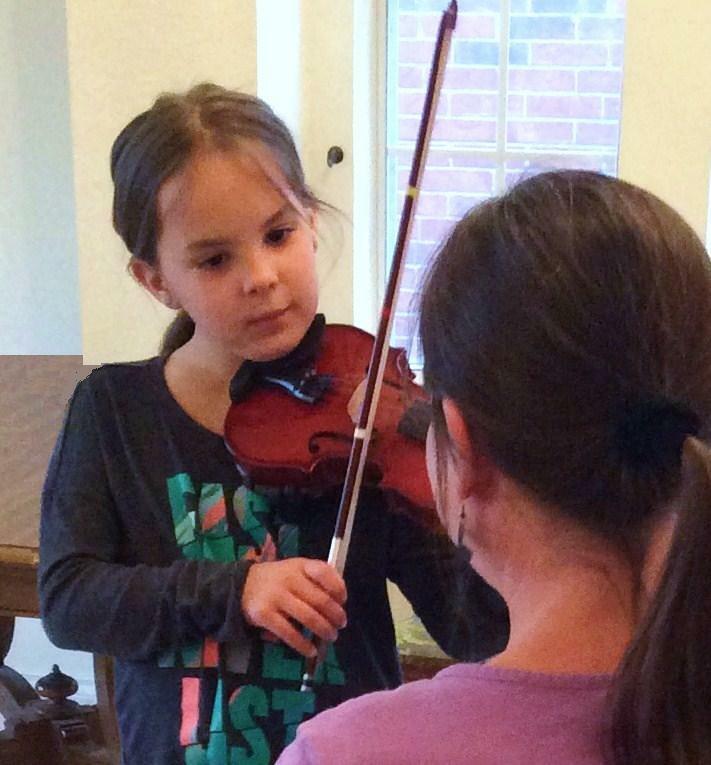 Parents who love the learning process, seeing their children’s abilities expand, and who love being a part of their child’s education are likely to love Suzuki violin lessons at this age. Students age 6--8. When starting a child’s violin study at the age of 6-8, parental participation is still a critical part of their child’s success. Parents attend the lessons, set their child’s practice and listening schedule, and guide their child through the practice routine at home, aiming for 5-7 days of practice each week. Students age 9--12. Parents attend the lessons, and set their child’s practice and listening schedule initially while their student is learning the fundamentals of violin playing. The parent’s extra set of eyes during their child’s practice will help their child secure correct posture and violin position. Once the fundamentals are established, parent participation can be reduced to simply attending the lessons as a means of showing interest and keeping in touch enough to make sure their child is practicing and listening regularly. Students 12 and older. Older students are able to be very independent. Parents are very welcome to attend the lessons, but it is not required. Often times a parent's role can be minimal, providing a little discussion of time management to establish a practice routine. At times when scheduling changes occur and students need to get used to additional activities or responsibilities, parents can be helpful by prompting students to make adjustments to their schedule. Prior to becoming a Suzuki Violin Teacher I taught traditional violin lessons both at my home studio and as hosted in public schools. As I learned that teaching made me feel valued and meaningful, I decided to strengthen my teaching by obtaining Suzuki Violin teacher training. As part of my teaching, I accept the responsibility that Suzuki teachers take to be committed, high quality educators, providing a responsible and effective pathway for learning the violin and assisting in healthy human development through music study. In this method, I enjoy the teamwork required between parent, child, teacher, and the larger student group as students learn the violin and display their learning for the entire class and parents. I appreciate the opportunity I have as a teacher to provide direction not only towards musical excellence, but also direction that encourages growth towards being a healthy well-functioning person. With opportunity and support, children are capable of amazing learning. And I feel great being a significant part of that learning. That’s why I began my training in the Suzuki method, and why I enjoy teaching Suzuki Violin so much. Contact me to let me know about your child and your motivation to begin them learning the violin!